I had never had pesto before making this recipe. This dish smells like a garden - so fresh and green. Jess and I devoured our bowls and went back for more. We found this recipe in the March 2013 edition of Cooking Light magazine. Place spinach in a microwave safe bowl; cover bowl with plastic wrap and cook for 2 minutes or until spinach wilts. Remove plastic wrap; cool slightly. Place spinach, almonds and next 5 ingredients in a food processor. Process until chopped. Add broth, juice and salt; pulse 5 times. With processor on, slowly pour oil through food chute; process until well blended. Scrape into a bowl; stir in half of the cheese. Cook pasta according to package directions, omitting salt and fat. Drain. 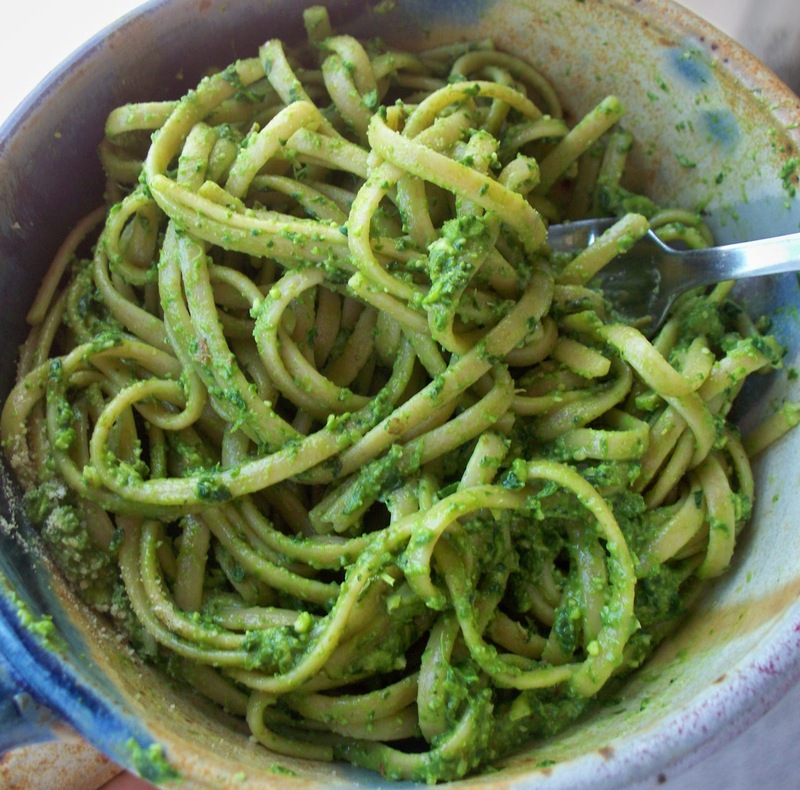 Toss pasta with 1/2 cup pesto. One serving is 1.5 cups pasta. Add 2 tablespoons pesto on top of your pasta serving if you so desire. Top with 1 1/2 teaspoons cheese.